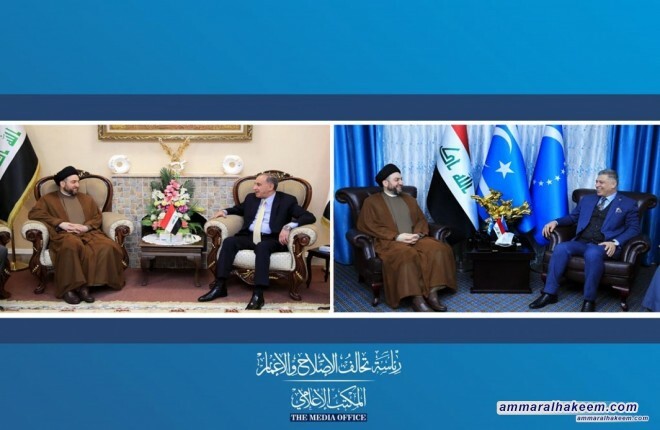 His eminence discussed the political situation, the situation of Mosul city and the Turkmen component, and institutionalizing to the Reform and Reconstruction Alliance. His eminence called to provide services and mitigate Turkmen suffering. And stressed on fight corruption and intolerance with the corrupts, and that the institutionalization of the Reform and Reconstruction Alliance have a positive impact on the political process.